Thanks to Starla Kay Photography for these amazing photos! Check her out! Hello Loves! Vday is right around the corner and I have been asked by many of my readers to do a little guide to style, gifts, beauty and lingerie. I covered the "How-To's" of buying curvy lingerie in my Kurvy Boudoir piece earlier this week. Make sure to check it out! Today's post is all about style and beauty tips to look your best, whether it's date night with your significant other, or a fun night out with your best gal pals. 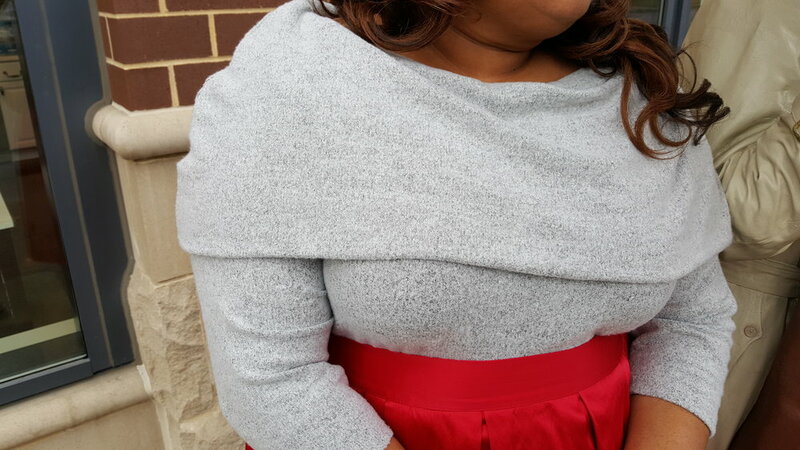 Here I styled this great ASOS Curve maxi with a mock neck tee. I loved the outcome! The contrast in colors was bold and fun, but I still felt covered up in this super cold weather. It's freezing in Indy right now #midwestgirl. I added a fun accessory--this Aldo bag--that called my name from the moment I entered the store. 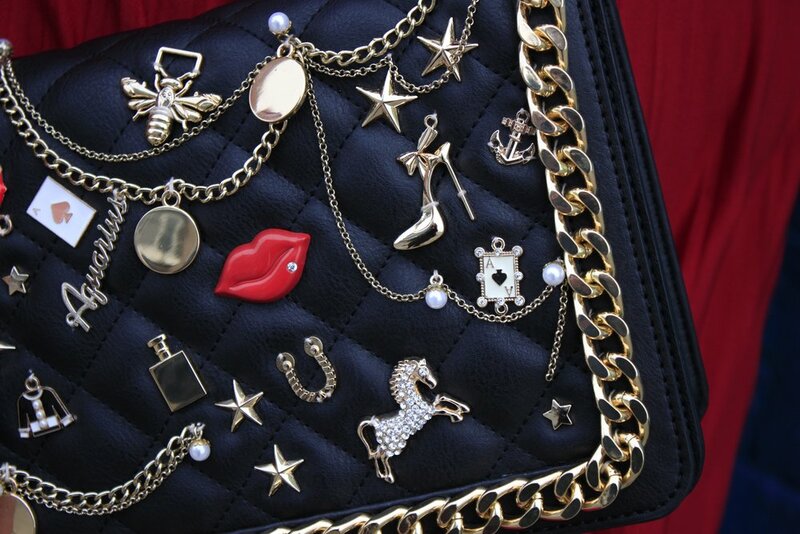 Styling Tip: Have fun with your accessories to play up your personality. Find the right bag, earring, statement necklace, etc. that tells people, "I'm more than what meets the eye". This look is perfect for hanging with your BF or BFF's. 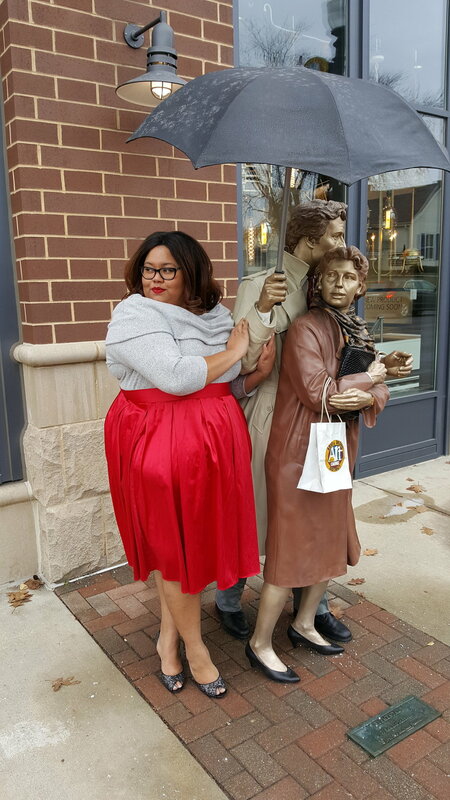 For a more romantic look, I chose this great sweater and ruby red skirt combo. It's cozy, yet flirty! Get ready for a great movie and dinner date this Vday! Grab your gal pals or your man and rent the sappiest movies! Make sure you have plenty of chocolate and wine on deck for the best night ever! There are always great music and theatre venues hosting events VDay weekend. Check out your local listings and explore the arts! Have a more refined evening and visit a winery. It's fun and relaxing...plus you learn a little bit about how wine is made....and drink a lot of it...win win. How will you spend your VDay? Let me know below!! !